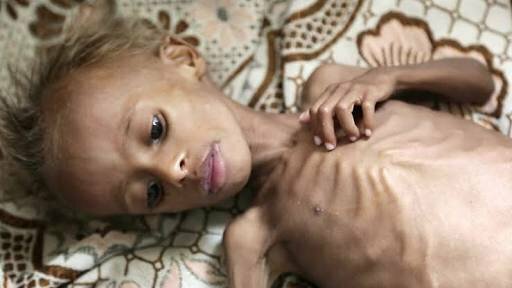 "The world's worst famine crisis in decades"
PAOV — The Saudi-led air and sea blockade of Yemen is more than three years old and has resulted in the world's worst famine crisis in decades. Experts say almost 5 million children are at risk of starving to death unless the international community pressures Saudi Arabia to end their deadly military adventure in Yemen. Your signature could help make that happen. Petitioning United Nation’s Security Council, United Nation Human Rights Council United Nation’s Security Council : Lift Saudi led blockade of Yemen before millions die because of man made Famine. Sign now with a click It’s been over three years now that Saudi Arabia led military coalition waged a war on Yemen. The consequences of this one sided war are devastating. People are dying because of disease like Cholera and Diphtheria. Children, men and women are facing severe shortage of food, water, medicines, proper clothing and other necessities of life due to more then 36 months long blockade of Yemen.